Dengue Infections and Hair Loss: What is the mechanism of hair loss? What is the mechanism of hair loss? Dengue fever is an illness caused by the Dengue virus which is spread from the mosquito. It has the potential to cause a very severe and even fatal illness. About 400 million infections occur per year making it a common infection. Individuals infected with Dengue virus usually develop symptoms a few days to 2 weeks after being bitten. Symptoms are very similar to the common flu and include high fever, a very bad headache, pain behind the eyes, joint pain, muscle pain, vomitting, rashes and internal bleeding problems. Hair loss is fairly common with dengue fever. Hair loss occurs usually a few months after the illness starts and lasts a few months for most. The hair loss from Dengue can be quite dramatic in some cases. The hair shedding from Dengue eventually stops on its own. There is not a lot that can be done to help it ... other than for the individual to continue to get better. 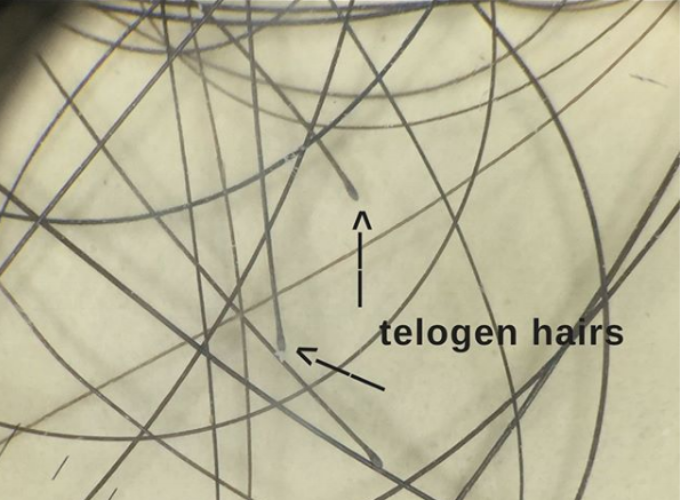 Although the hair loss that occurs from Dengue is typically though to occur via a mechanism of “telogen effluvium” (hair shedding), new research from Taiwan suggests hair loss from Dengue might be more complex. Researchers showed that human hair follicle dermal papilla cells (HFDPCs) were susceptible to Dengue virus infection and this lead ultimately to inflammation and cell death in HFDPCs. Further research is needed to understand the long term sequelae of Dengue virus infection and to confirm whether hair regrowth is the norm for all patients. Wei KC et al. Dengue Virus Infects Primary Human Hair Follicle Dermal Papilla Cells. Front Cell Infect Microbiol. 2018.